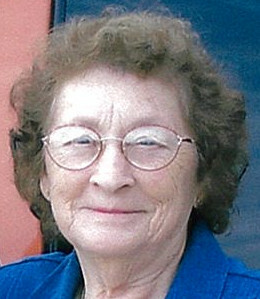 Thelma Clara Deamron, 89, of Versailles, formerly of Dillsboro passed away Saturday, April 6, 2019 at Margaret Mary Health in Batesville. Thelma was born Monday, February 24, 1930 in Ohio County, the daughter of Martin and Martha (Thomas) Knigga. She married Clifton Deamron July 1, 1950 and he preceded her in death February 25, 2014. She graduated from Dillsboro High School in 1949. Thelma formerly worked in the housekeeping department for Dillsboro Manor. She was a former active member of St. Peters Lutheran Church in Dillsboro, enjoyed spending time with her family, was active at school with her children, former PTA president and girl scout leader. She enjoyed her flower beds, gardening and canning vegetables. Thelma is survived by sons: Terry (Diana) Deamron of Greenwood and Ricky (Sandra) Deamron of Greensburg; daughters: Marsha Ann (Michael) Back of Cross Plains and Linda (Ronald) Sniegowski of Aurora; sister Lucille Combs; brother-in-law Marvin Cutter; 8 grandchildren, 2 step-grandchildren; several great and great-great grandchildren and several nieces and nephews. She was preceded in death by her husband, parents, sister Helen Cutter and brother-in-law Lehman Combs. A service celebrating her life will be held 10 AM Wednesday, April 10, 2019 at Filter-DeVries-Moore Funeral Home in Dillsboro with Pastor Keith Allhandes officiating. Burial will follow in Oakdale Cemetery. Family and friends may gather to share and remember her 5-7 PM Tuesday, April 9 also at the funeral home. Memorials may be given in honor of Thelma to Oakdale Cemetery. Filter-DeVries-Moore Funeral Home entrusted with arrangements, 12887 Lenover Street, Box 146, Dillsboro, IN 47018, (812)432-5480. You may go to www.filterdevriesmoore.com to leave an online condolence message for the family.